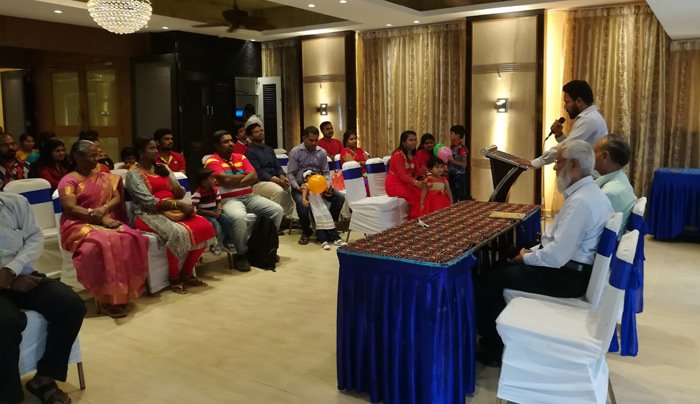 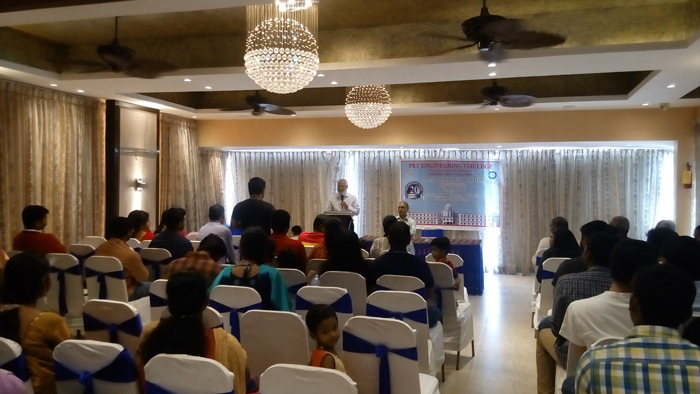 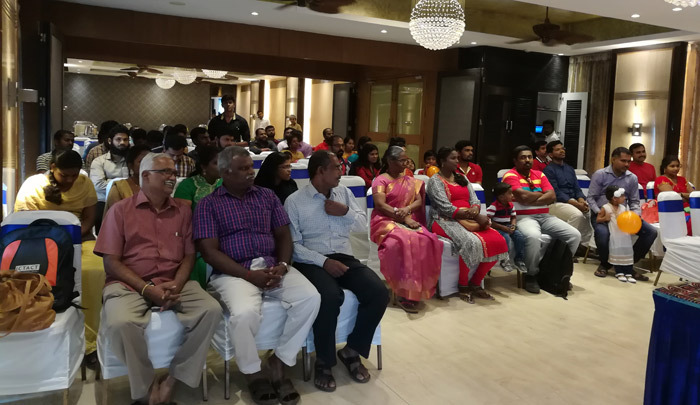 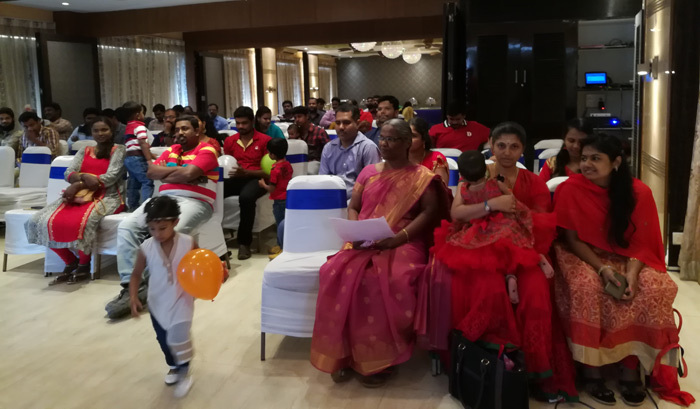 Alumni Meet was conducted at Buhari Hotel, Chrompet, Chennai on 09-12-2017 for the year 2017. 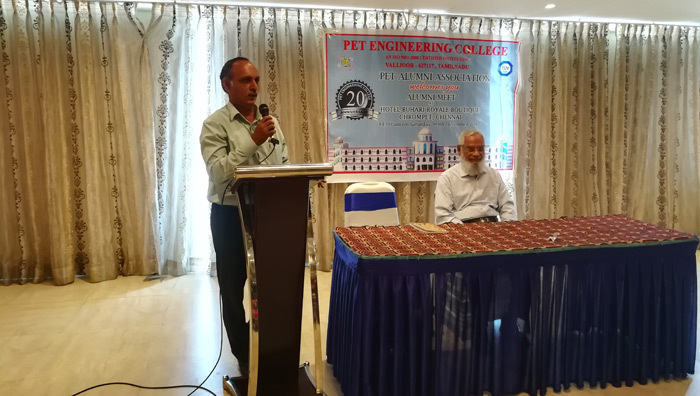 The Principal Dr. N. Mohamed Sheriff, Former Dean Prof. S. Abubucker, the Heads of Departments, alumni faculty members and alumni attended the meeting. 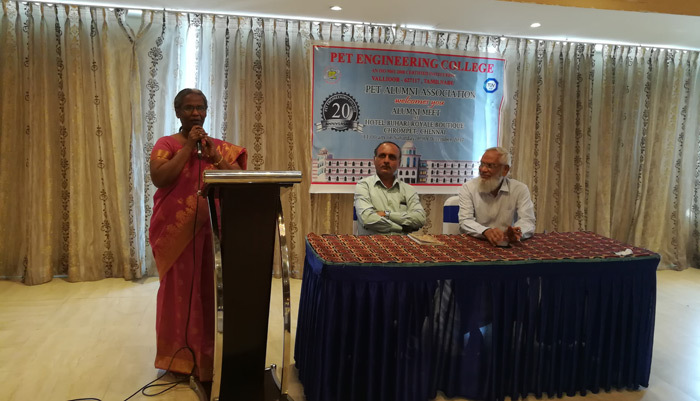 The meeting started at 11.00 a.m. with quirath and then Tamil thai vazthu, Dr. Pushparanjini was the alumni Co-ordinator and made necessary arrangements for the Meeting at Chennai. 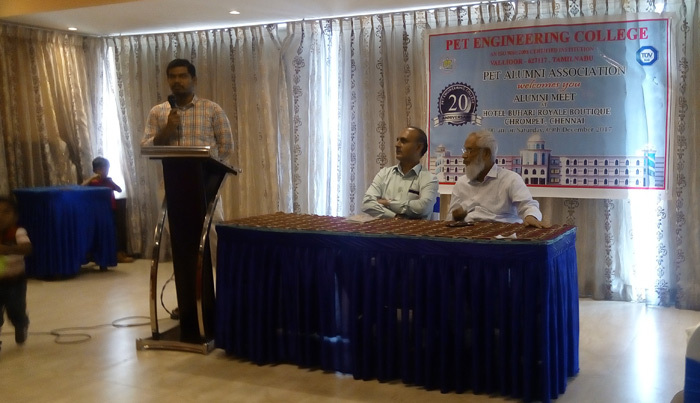 Mr. Samsudeen Shaffi, Secretary of Alumni Association welcomed the gathering. 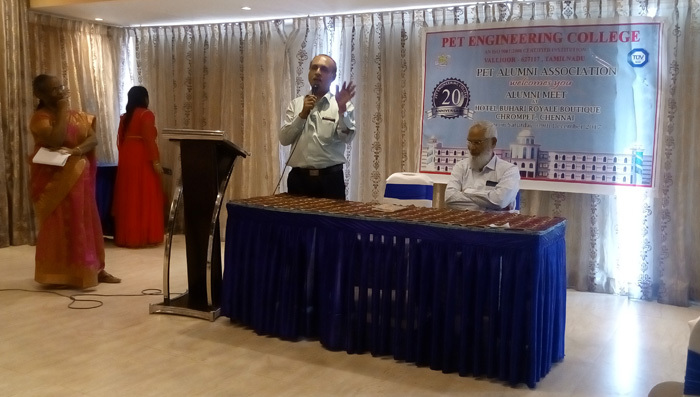 Our Principal Dr. N. Mohamed Sheriff delivered the presidential address. 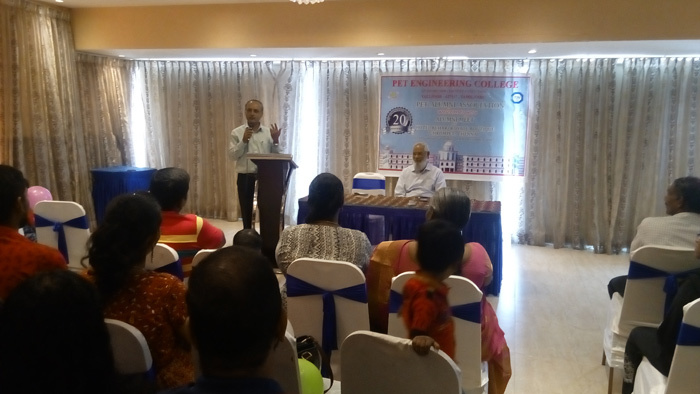 He mentioned the importance of Alumni Association and also suggested for starting an incubator inside our College Campus so that a few alumni could get job through it. 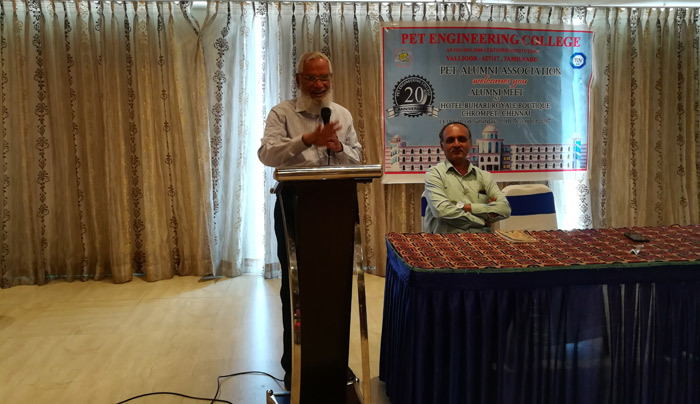 Our former Dean Prof. S. Abubucker felicitated the meeting. 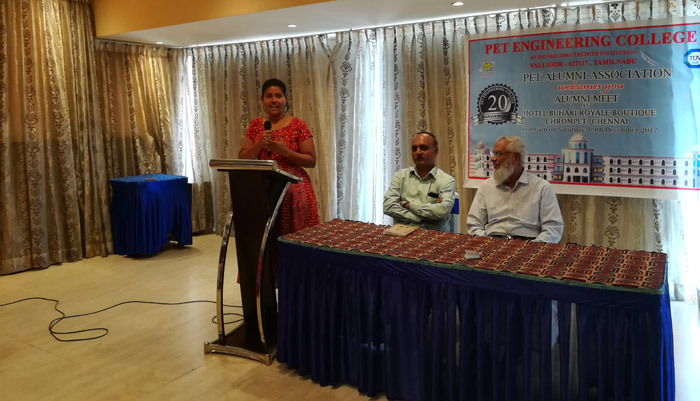 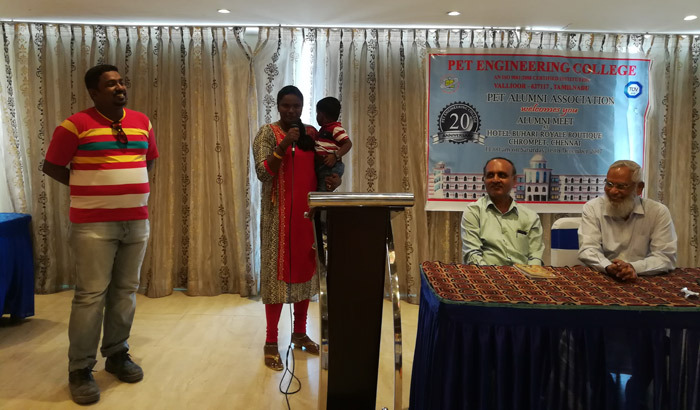 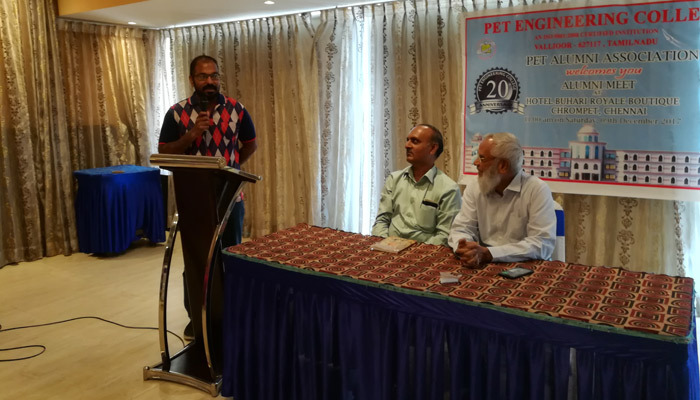 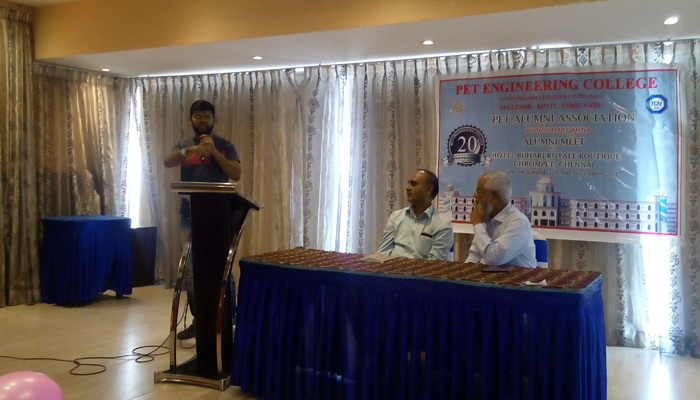 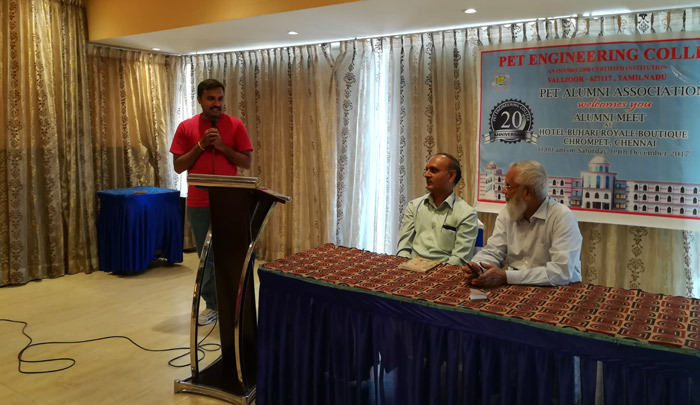 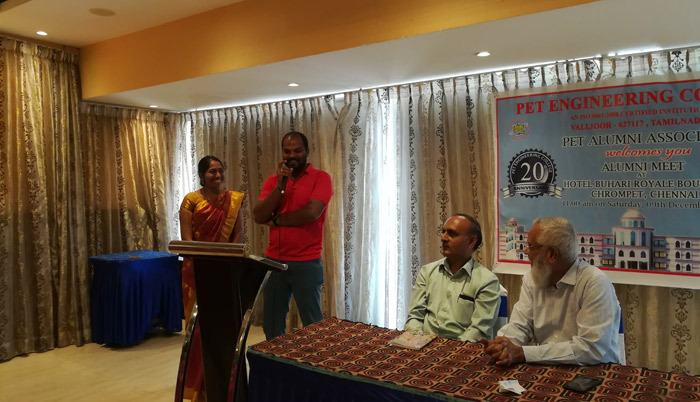 In his felicitation, he expressed his happiness in attending the alumni meeting and explained how alumni strengthens the bond among the petals (PET Alumni). 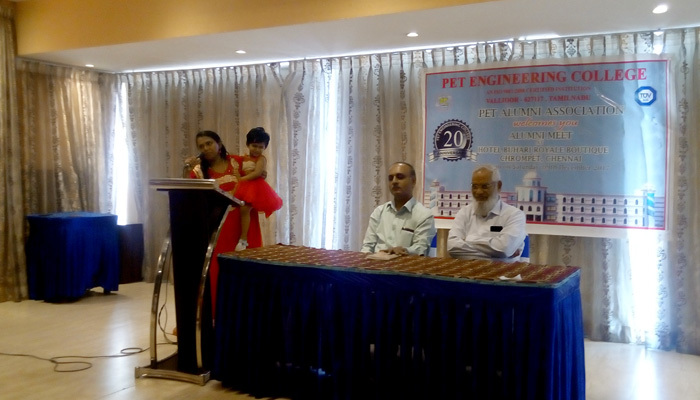 Then, all the alumni introduced themselves and their family members. 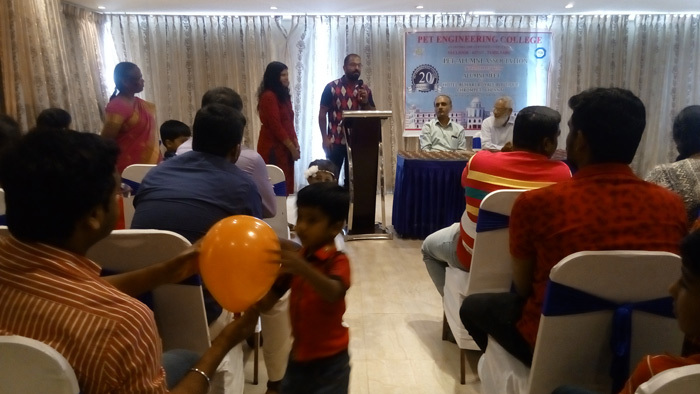 More than 60 alumni with their family attended the meeting. 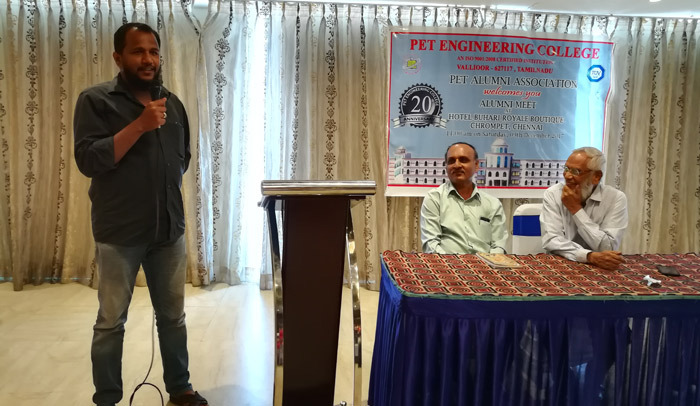 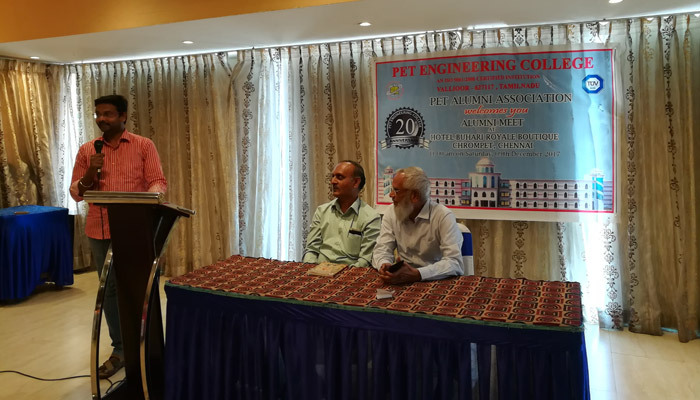 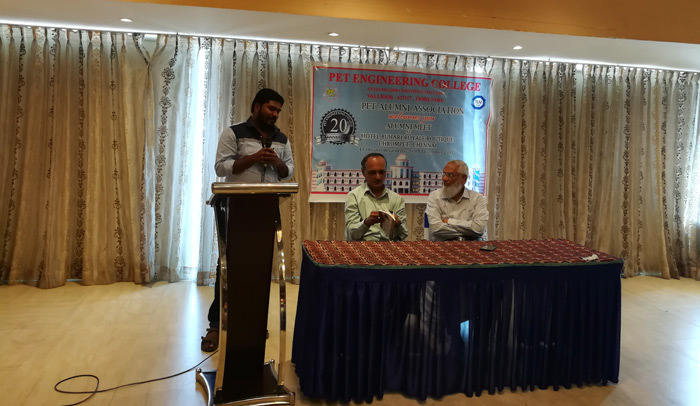 Mr. Binu Gibson, ECE (2002) passed out student working as Senior Consultant in Sanmania, had shown his interest in giving training for the required PETEC alumni. 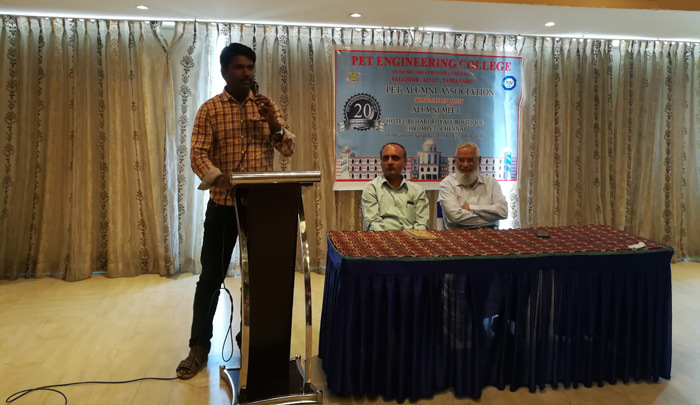 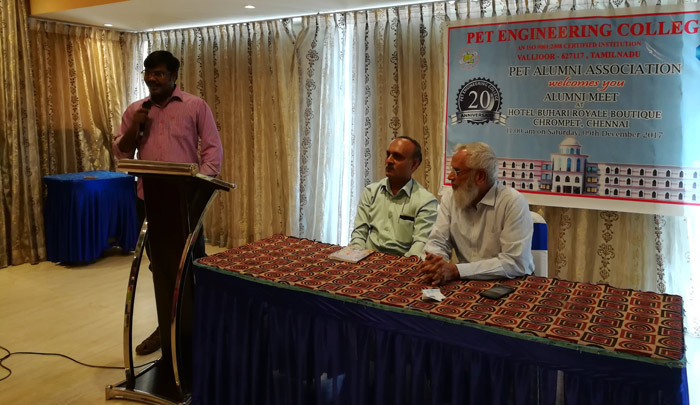 Mr. Muthuraj, (MECH 2005), Senior Consultant, Wheels India Chennai, said that he would inform about the job opportunities in his Office and help in all possible ways to get job for PETEC final year and passed out students. 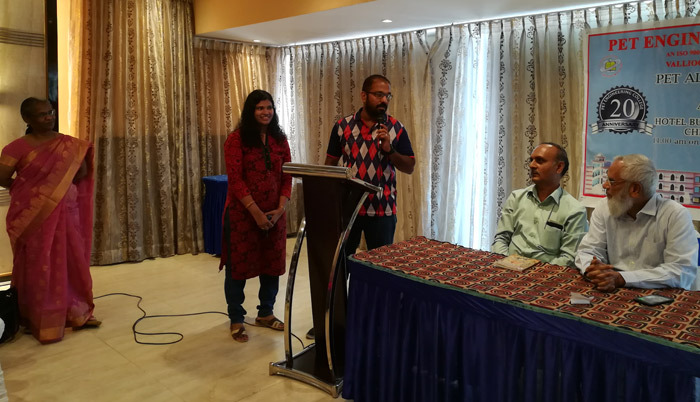 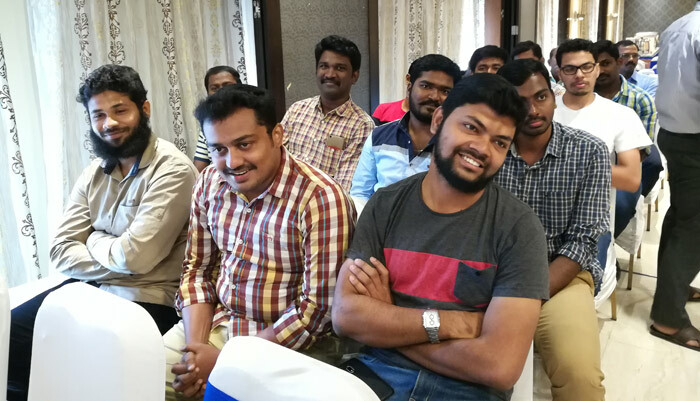 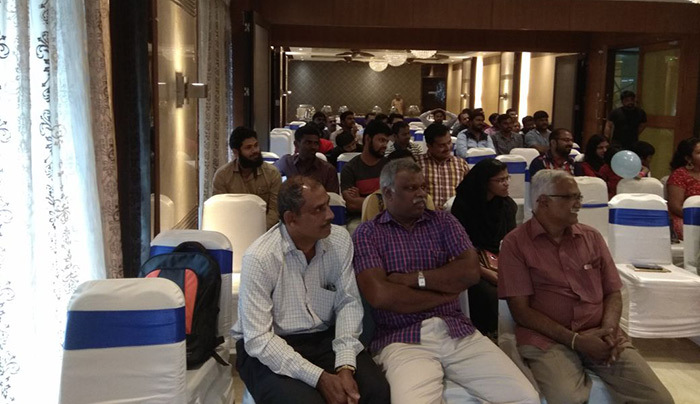 Mr. Arulselvan, (CSE 2003), Manager, Cognizant Technology Solutions, Chennai, Mrs. M. Banu Prema (CSE 2003), Mrs. Sridevi (ECE 2005) Manager, HCL, Ms. Benit Amala (ECE 2009) and many others attended the meeting. 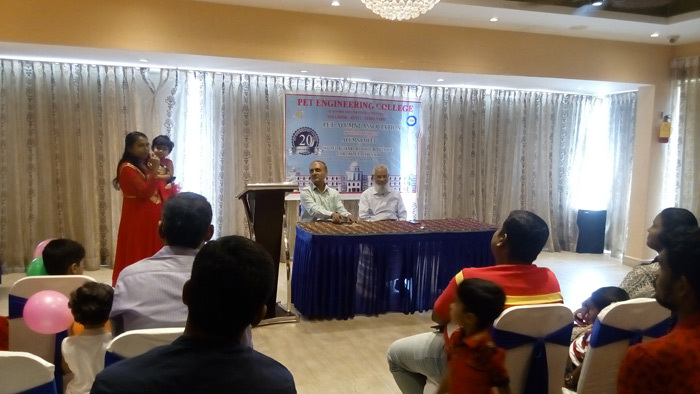 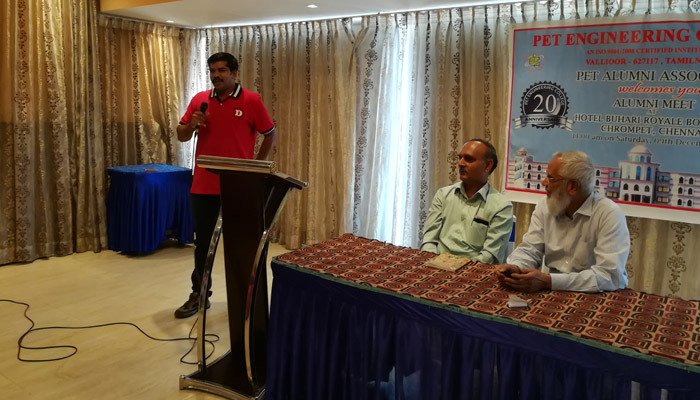 They encouraged their juniors to actively participate in the coming Alumni Meet and thanked the Management for arranging such a meeting every year. 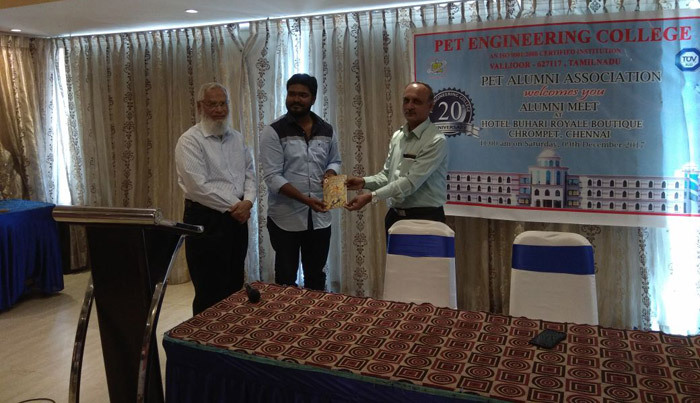 After photo session the meeting continued with sharing of memories from alumni. 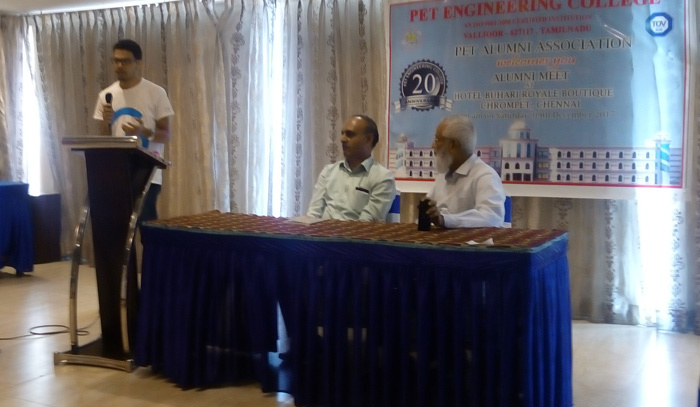 Few alumni shared their college day memories and said that they were happy for conducting such a meeting. 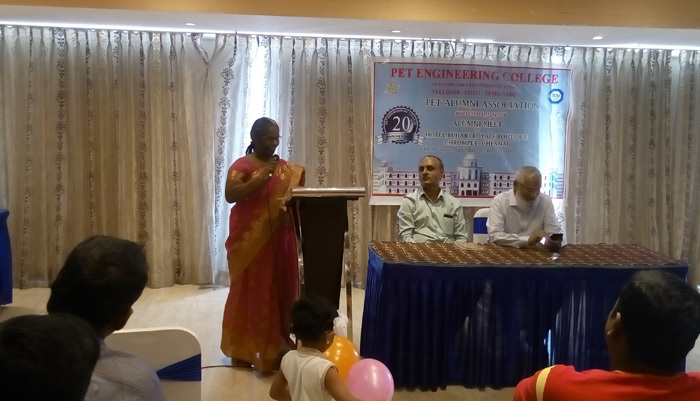 Mrs C. Rekha, Vice President, thanked the gathering. 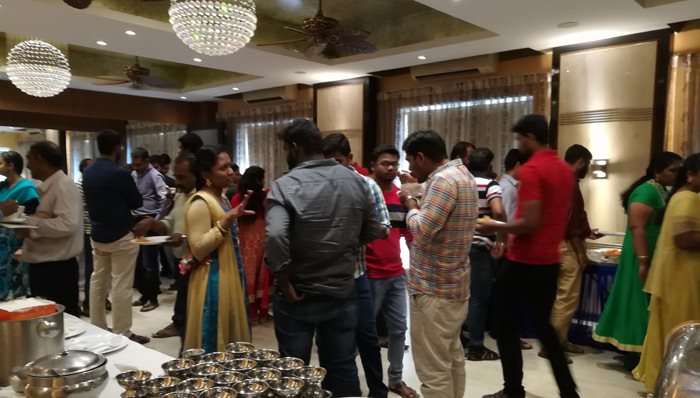 After the programme, Buffet lunch was arranged and everyone had their delicious lunch. 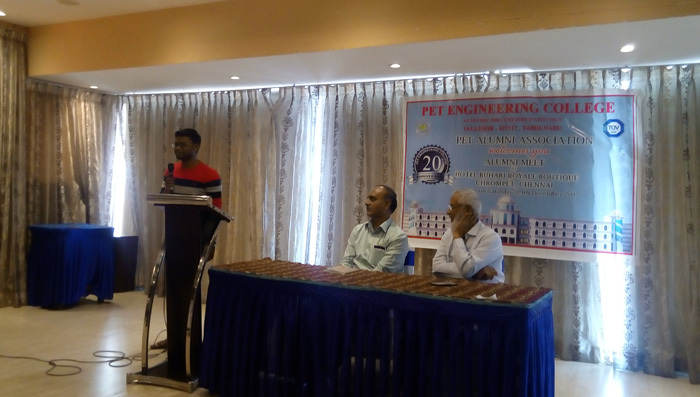 It was a memorable moment.